Megan moved to Colorado from North Carolina with her now husband Jay in the summer of 2010. She saw Colorado as an opportunity for change, growth and adventure. Uncharted adventures is what makes Megan thrive. She believes that nothing great is easily gained, and life is meant for living, no matter what happens, there is always a plan and a path. She came to CO with a plan to continue with her BA degree in Anthropology and Archaeology in the Museum and Field Studies Master’s program at the University of Colorado Boulder. She became a Paleontology Lab volunteer at the Denver Museum of Nature and Science and was privileged enough to be invited to dig in the field in Snowmass, CO on the historic Mastodon site at Ziegler Reservoir in 2011 with the Denver Museum and National Geographic. Her path and destiny however had other plans. 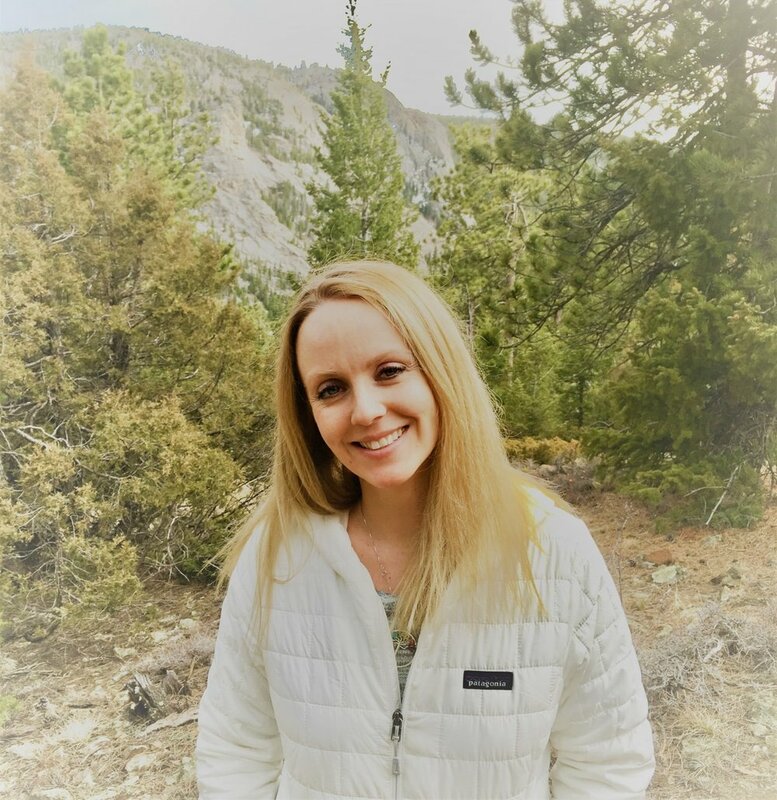 After taking a job as an accountant with Vail Resorts for over 4 years where she made some of the best friends anyone could ask for, and had the most amazing mountain adventures, she decided to pursue her passion of nutrition and holistic healing in 2014. Growing up in the south helped prime Megan for this journey exposing her, unknowingly, to the rougher sides of nutrition (or lack there of), a multitude of doctor visits, and simply living an unhealthy lifestyle. She didn’t want to suffer the same fate of illness, unnecessary surgeries and medications like so many she knew and grew up with. It wasn’t until living in Colorado for a few years that she was able to finally grab a hold of her health and begin to get control back. After years of living and researching nutrition, she decided it was time to take it further, wanting to help others who struggle the way she had. The Nutrition Therapy Institute of Denver’s holistic program was exactly what she was looking for. For years she had lived the holistic lifestyle and felt her knowledge and experience as well as now education could absolutely help others move forward with their nutritional desires as well. Although Megan doesn’t live in the world of conventional medicine and believes in fixing issues at the root of the cause rather than band-aiding them, she does believe that if her client works with a doctor to absolutely continue to work with them as well. After all, we are all different and unique in our makeup and how our bodies react to everything. Our goal should be to combine Eastern and Western medicine into a beautifully, perfectly blended healing science. Megan offers up a holistic, Eastern approach to healing. Reiki entered Megan's life many years ago initially through working with massage therapists, but it kept coming back to her at different points over the years. After getting close to completing her Diploma at NTI, she decided to take a class and see if she was truly meant for it. Reiki changed her life as soon as it began, and it was one of the best path’s she could have taken. Reiki not only helped Megan to overcome some personal struggles as soon as she began, but also opened her up to a whole other, amazingly beautiful world, one that she feels she was meant to be a part of. After providing Reiki therapy to others, she has shared some powerful experiences alongside her clients and Reiki Master associates. Reiki has been a perfect addition to Megan's business as yet another form of healing the mind, body and spirit. Megan's outlook on life is that you get back what you put in. You need to be ready to make serious nutritional changes, stick to them and continue with them for the rest of your life, constantly experimenting and testing things on yourself. After all, one must desire change, be willing to make those changes, and be committed to those changes if they truly want to turn their life around. The holistic approach is not an easy one. The harder you work at it and the more time and effort you put into it, the quicker you will see results, and those results will last. She wants you to think of how long it took you to get where you are today, and realize that it will also take time to turn around what has been created. Great things take time, and your health is one of those great things. Reiki is a wonderful addition to anyone’s life at anytime and does not require serious commitment or changes, rather the opportunity to grow into more self-awareness and healing. With Megan's guidance, you will heal and you will take back control, because after all, you are in control of your health. Having consistent, powerful energy all of the time feels absolutely amazing and she wants others to feel the same. The double benefit of healing through nutrition and Reiki can have unbelievable effects, but Megan can also help you with just Reiki or just nutrition, it’s completely up to you and what you’re looking for. The end goal in Megan's mind is to keep cancer and disease away as much as possible and to live life feeling your best. We now know so much more about what we put in and on our bodies, and how we take care of ourselves directly affects this possibility. Use what you know and don’t become one of the statistics. We have to be smart in our every day decisions if we care about our future. What’s meant to be will be, but you must take the first step in creating your destiny!